Today, Sasha and I were holed up in our apartment watching snow fall sideways (and sometimes up). There were periods of time where we couldn’t see across 14th street, which makes this our first real whiteout. Check out the car to the left. The city warned of gusts up to 50 mph and the added snowfall may put Washington, DC in the number one slot across the country for total snowfall received this year. Go DC! So we thought, what better day to take pictures of the ceremony and reception sites. Hopefully the weather will be better on the big day. Check out the pictures below. 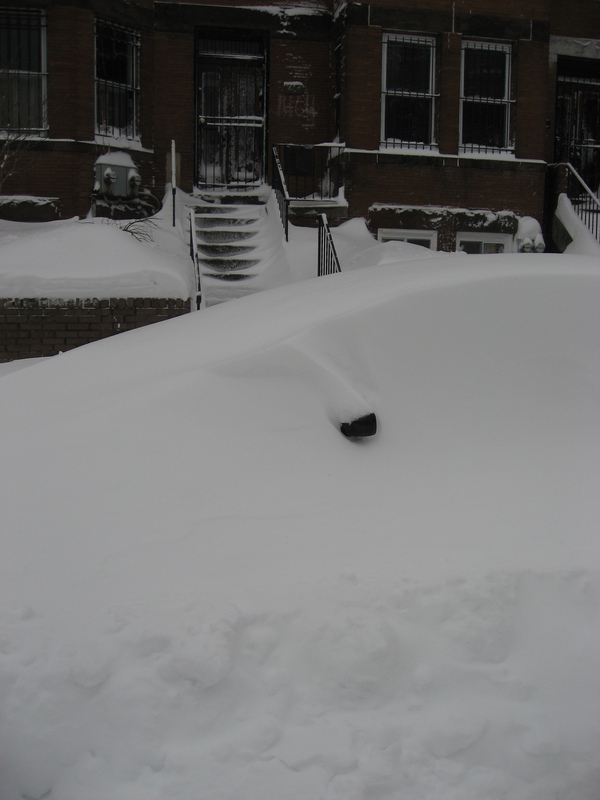 Pictures from top to bottom: 1) Car on our street covered in snow. That black spot is the side view mirror. 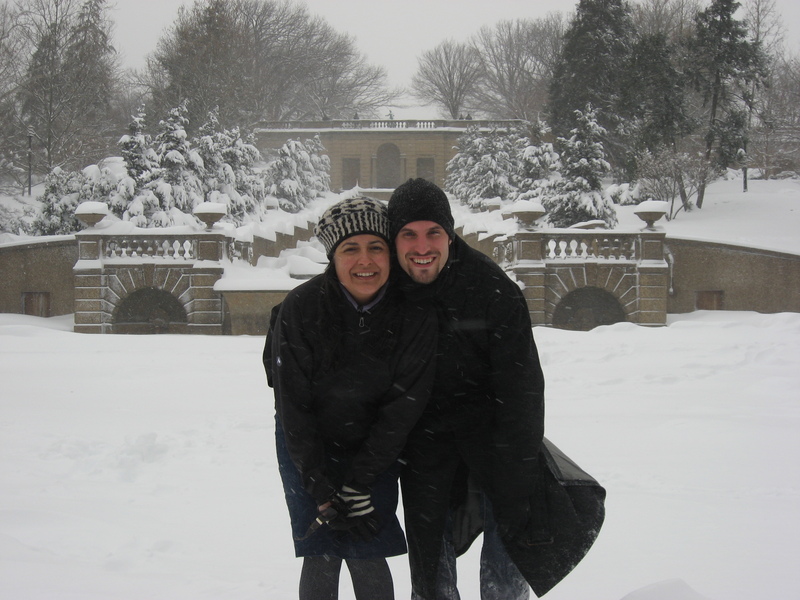 2) Sasha and I at the ceremony site. 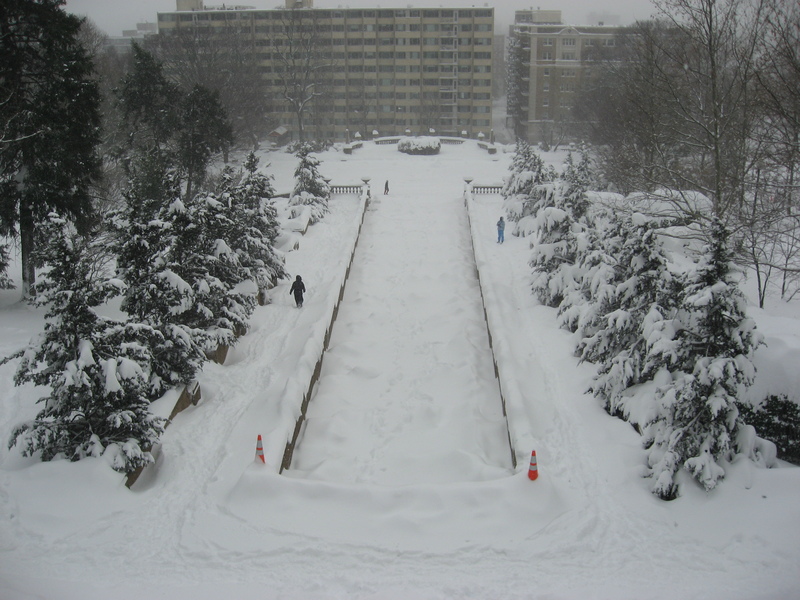 3) Meridian Hill Park looking down on the ceremony site. 4) The Josephine Butler House. 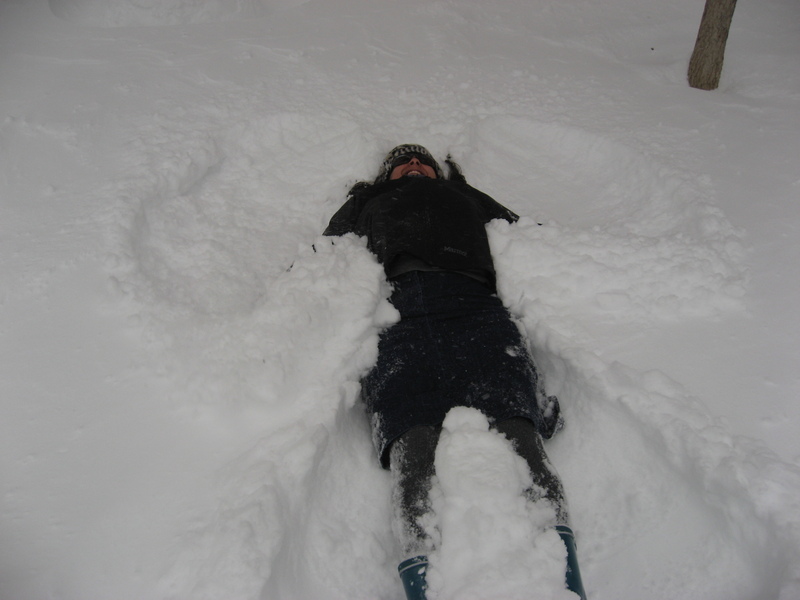 5) Sasha making a snow angel before we headed back home! What venue might that be? 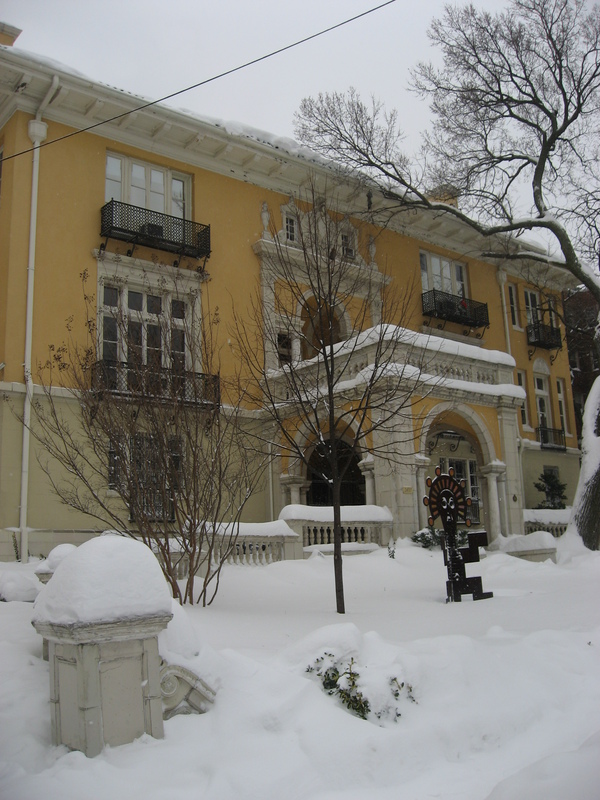 Josaphine Butler House. The yellow building in the pic. Also, see the links in the side bar to the right… Click on reception.